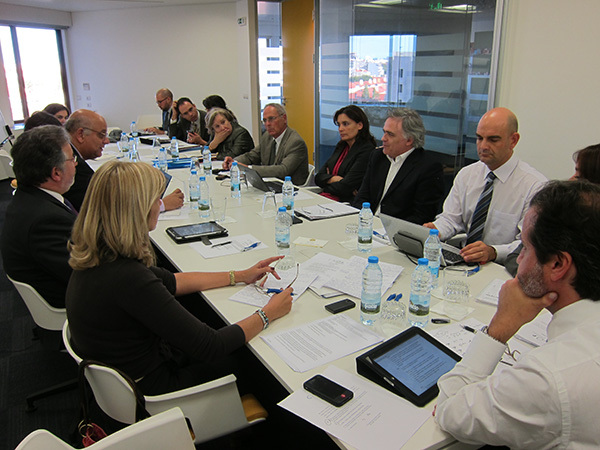 The Portuguese Dental Association received last Monday (24 October 2011) a meeting of the National Council of the Professional Orders (CNOP) in our Lisbon delegation. CNOP is the association representative of the 14 Portuguese regulated professions, of which I’m president since March 2011. This entry was posted on Thursday, October 27th, 2011 at 09:20 and is filed under CNOP, Portugal, Portuguese Dental Association. You can follow any responses to this entry through the RSS 2.0 feed. Both comments and pings are currently closed.